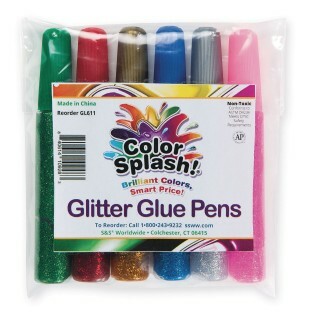 Glitter and glue in a convenient pen! Glitter and glue in a convenient pen makes it easy to add sparkle to all sorts of projects. 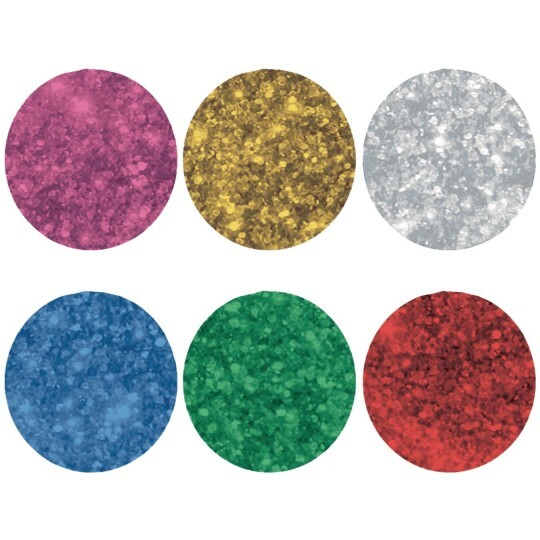 Set of 6 includes green, gold, silver, pink, red and royal blue. Each pen is 13cm long and contains 12ml (.40 oz) of glue. Non-toxic with vented caps. As a person with limited hand strength I was very happy that I could actually use this product. Thank you. The item is fine just a little smaller than I thought it was going to be it worked out because I bought extra! Still for the price it was good! Some love the glitter use.